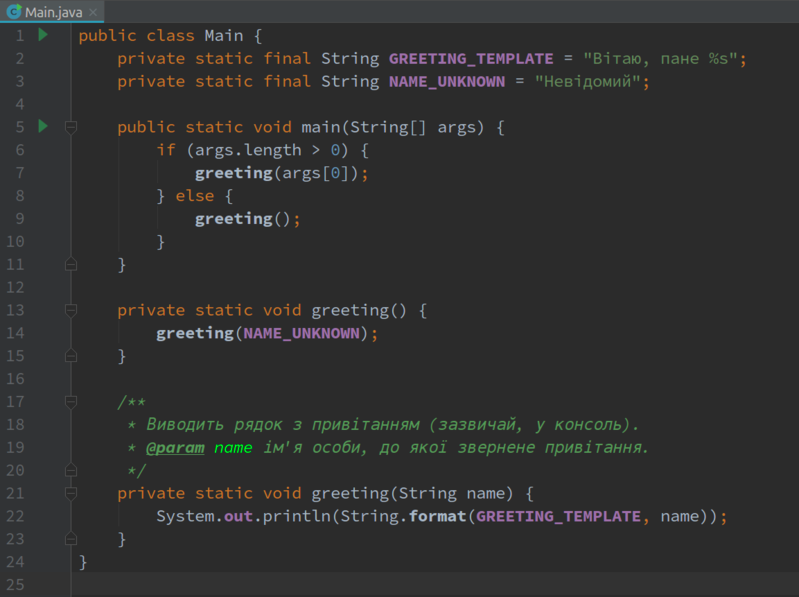 While we all started to learn how to code with HTML, developing a sophisticated app requires a more advanced language. Java and Python are two of the hottest programming languages in the market right now because of their versatility, efficiency, and automation capabilities. Both languages have their merits and their flaws, but the main difference is that Java is statically typed and Python is dynamically typed. They have similarities, as they both adopt the “everything is an object” design, have great cross-platform support, and use immutable strings and deep standard libraries. However, they have plenty of differences that steer some coders towards Java and others towards Python. Java has always had a single large corporate sponsor, while Python is more distributed. Here’s how the two languages are different and how to decide which one better fits your goals. The phrase “dynamically typed” means that Python performs type checking at runtime, while statically typed languages like Java perform type checking at compile time. Python can compile even if they contain errors that would prevent the script from running properly. On the other hand, when Java contains errors, it will not compile until the errors have been fixed. Java also requires you to declare the data types of your variables before using them, while Python does not. Because it is statically typed, it expects its variables to be declared before they can be assigned values. Python is more flexible and can save you time and space when running scripts. However, it can cause you issues at runtime. Choosing a language boils down to what you’re trying to achieve with your code. Performance is not of the essence in software at all times, but it is always worth keeping in mind. Java is more efficient when it comes to performance speed thanks to its optimizations and virtual machine execution. You can add Python implementations without this restriction, but they can negatively affect portability assumptions within the Python code. Therefore, when it comes to sheer speed performance, Java has the edge. However, Python is more effective when it comes to adapting legacy systems. The language is more suited to make changes to an existing legacy system. Python can make gradual shifts instead of fully rewriting and revamping the system like Java does. Java in the enterprise world is a more verbose coding style, which means that these systems are often larger and more numerous than Python legacy. The latter language is more common among enterprise code that glues their IT infrastructure together, making it more effective in adapting legacy systems. As far as practical agility goes, both languages have their pros and cons. Recent advancements in DevOps have benefited both as Java thrives on more consistent refactoring support. This is due to the language’s static type system, which makes automated refactored more predictable and reliable. Meanwhile, Python’s dynamic system relies on brevity, fluidity, and experimentation in code, giving it more versatility than Java’s rigid style. Python has also been adapting to automated testing in modern development, but this happens more frequently in integration instead of unit testing. Choosing which language to goes with depends on your company’s needs, and which setbacks you’re willing to accept. While Java churns out higher performance speed, Python is more suited to evolve legacy systems. When it comes to practical agility, Java is a more proven option, while Python has more flexibility for experimentation. Java is still king in the coding space as it remains the most popular language. It has traditionally been the language to teach beginners, but this is quickly changing as Python is gaining steam. A recent survey from the Association for Computing Machinery (ACM) found that Python has surpassed Java as the most popular language to introduce students to programming. The survey found that eight of the top 10 computer science departments in the U.S. now use Python to teach coding, as well as 27 of the top 39 schools. Python’s becoming more popular in the academic world for only three or four years as it is being taught as early as high school and through college. There are several reasons for this shift, including that Python is a general-purpose language, which means that it can be used to build almost anything. The language is great for backend web development, data analysis, artificial intelligence and scientific computing. In addition to its professional uses, it can also be used to create games, productivity tools, and desktop apps. Since its inception, Python was created so it would be easy to understand and easy to use as the name came from Monty Python. It is more beginner-friendly because it reads like English, making it a more intuitive learning experience from a syntactical standpoint. The language takes a load off coders by taking care of a lot of the language’s complexity. 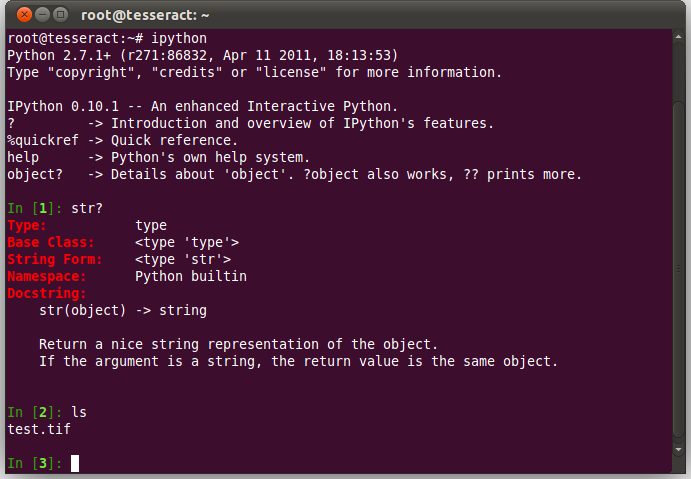 Plus, Python is very flexible because it is dynamically typed. While Java has hard rules on how to build features, Python offers different methods to solve the same problem. The language is also more forgiving of errors, allowing you to compile and run your program easily. One major downside for beginners is that Python can be difficult to maintain as errors are hard to track down and fix. The rigid nature of Java ensures that you fix every problem in real time, saving you time fixing code later down the line. Python is also slower because of how flexible it is, slowing its performance down, making Java more attractive in that sense. While Java certainly has its benefits and it can do wonders for experienced coders, Python makes the most sense for beginners. It is more flexible, has a more intuitive user interface and it creates a more enjoyable coding experience. 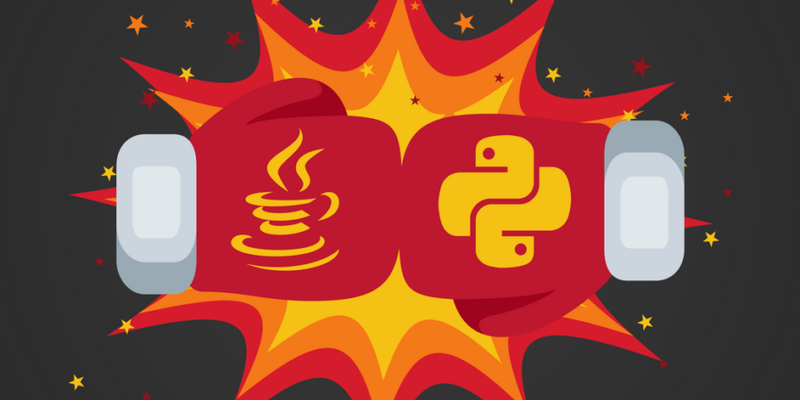 Is the future with Java or Python? Both languages have large communities surrounding them and they’re both open source. This means that coders are constantly fixing bugs with the languages and updating them, making both viable coding options for the future. As things stand, Java is the most popular programming language in the world, while Python is top-five. Java programmers have Java User Groups (JUGs), which are some of the most popular coding communities in the world. They also have JavaOne, a high-profile programming event that shows no signs of slowing down. Meanwhile, Python has 1,637 user groups in 191 cities and 37 countries with more than 860,000 members. The language has events as well, including PyCon and PyLadies for women to meet and code together. Learning either language will help you get a job in computer science, but predicting which trend will go further in the future is hard to do. There will always be coders with different preferences, with Java attracting those who prefer a more straightforward language. Coders who wish to have more flexibility coding, such as data scientists on a machine learning project, will prefer Python. There are different jobs for each of these languages, but it’s worth noting that Python may be making more strides than Java at the moment. Python tools such as GREENLETS and GEVENT allow asynchronous IO capabilities with a threading-like programming style. This means that the language can be written in twisted code without hurting the brains of its users by relying on stack-switching assembly code for greenlets. There’s also Kivy, a Python tool that makes it easier to write mobile applications. The language moves away from traditional web technologies, making it an exciting option for the future. With the language, you could talk to telco gear through a custom C extension. Python’s recent update fixes error messages, the ability to modify PATH in the Windows installer, and other features to make things easier for coders. Python has the slight edge over Java as far as the future goes, but neither language is perfect and Java adopters will continue to try to perfect the language moving forward. We can’t tell you which language to choose, but rest assured that both languages will be relevant for years to come. Python is a good choice for beginners as the language is more intuitive and its syntax is similar to the English language. It’s also in the midst of a revolution as its open source nature is paving the way for a slew of new tools to improve it. Java has plenty to offer as open source as well as it deals with performance issues more resolutely. Choosing a language ultimately comes down to preference as Java is geared more towards perfectionists looking to build clear, consistent code using complex syntax. Some will prefer this system, while others prefer to have the flexibility, brevity and fluidity of Python.